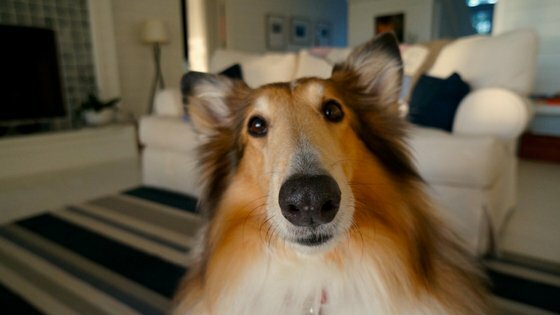 I know what you’re saying, who wants to come home to pee stains on the carpet! 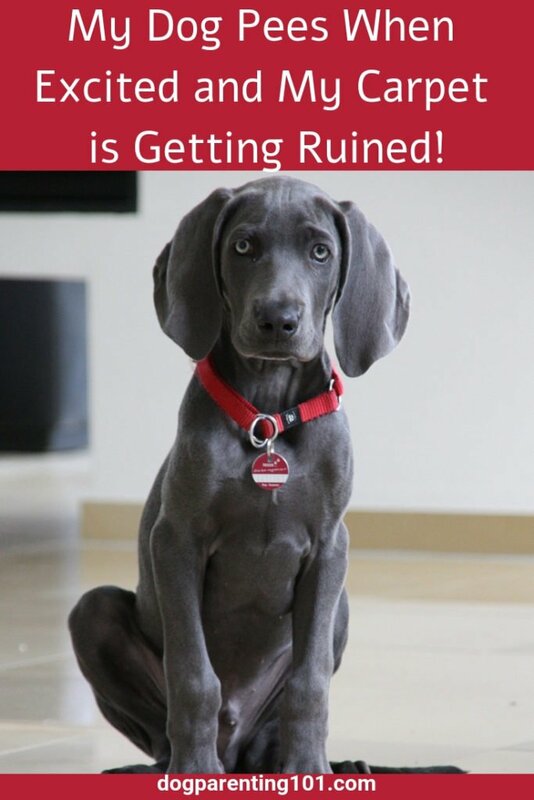 It’s common for a puppy to lose control when they’re excited and it’s called “excitement urination.” Most will grow out of it, but you may not want to wait to see if that happens in Alfie’s case. I always recommend a trip to the vet when there is an issue, just to rule out a medical reason. The good news is, there are things you can do to stop it. Let him decide who he wants to greet, as that can relieve some of the pressure he may be feeling when everyone runs over to him because he’s so darn cute! Great advice Hindy. Phoebe used to get super excited when we come home from anywhere, but I just ignore her and wait until she sits nicely for petting and it’s fine. Not making a big deal of entering or leaving the home is a huge help. Thanks Cathy, and I bet you saw a huge difference in Phoebe’s behaviour in a short period of time. Sounds great Ruth, hope it helps others! I love that you called it “happy pee.” Definitely puts a positive and cheerful spin on something that can be so annoying!! One of my dogs had that problem but with time it was fixed. We do everything for our pets they are like our kids so while this could be annoying it is part of the joys of being a pet parent. Glad the problem was resolved Adriana. You’re so right we do everything we can for them, and of course some things are annoying but they can be worked on and it’s all part of what we signed up for!! These tips are great, I have used these on a relative’s dog that does happy pees and they definitely work. I would ignore him, open the door so he could go into the garden, wait till he had calmed a bit and then greet him. It takes time and consistency so happy pees are longer what greets you when you come home. Thank you Michelle and so glad to hear success stories. You’re right it’s about time and consistency and then you see some great results. Great tips. We saw lots of excited peeing at the pet store. Like a kid in the candy store! I can imagine this would be a frustrating problem. These tips are great, and I can see that with consistency they will be successful. Thanks Lola!! Consistency is key. Submissive urination can happen to any dog. Building confidence and keeping things as calm and non-threatening as possible is the key. Great tips. I wish I knew this when we had a dog years ago that would pee a lot. Often she would pee when she saw my husband, almost as a submissive gesture. Thanks Maureen…handy tips for next time!! We had a foster dog like that. We were renting at the time with carpet and he would just pee in your lap. Hard problem to tackle! I had a puppy mill rescue who would pee if you even looked at her, but of course that was fear not excitement. I prefer carpeting I think it makes a home cosier but with certain dogs…not the best flooring. Fantastic post and advice. Also, a great reminder for those of us with excitable dogs. I have a hard time keeping it ‘low key’ when I come home. I’m just as excited to see my pack as they are to see me. For the sake of my front door, I will gone it down a few notches. SOOOOOO glad I have not had this issue with any of my dogs so far. Phew!! Now about stopping a pup from eating the baseboards…..
I’ve had a dog pee because of fear, sadly. Good luck with that! !